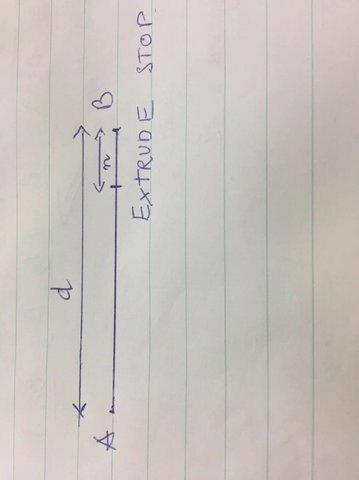 I need to find some formula to handle my issue related to the extruder. Posted June 30, 2017 · I need to find some formula to handle my issue related to the extruder. In general, When I tried to print the line , it always have a lot of materials in the last point position. So I want to handle that, it's mean i will prevent the material flowing out by the stopping extruder. Because when i stop the extruder , it always has a little bit material still flowing out. That's the reason the last point position always bigger than the rest. 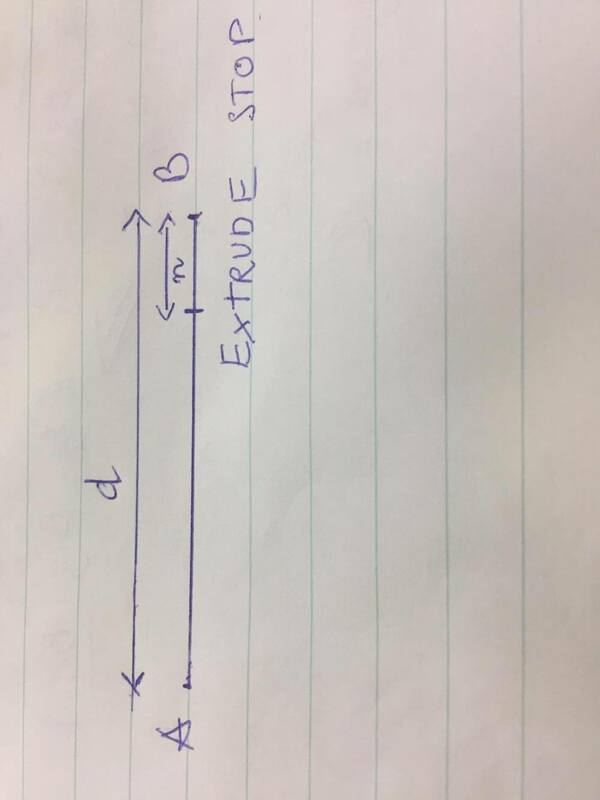 So i need to find the formula based on the extrude speed , print speed to find the position for stopping extruder. Example: I already print the line with the length is 20mm. the following figure will be shown my problem.